"I put the development of new kinds of tests at the top of the list because of the importance of tests in shaping all that we do and think in the classroom. . . If we teach for communicative competence, we have to test for communicative competence." (Communicative Approach Expert, Sandra J. Savignon, 1976, p. 5). 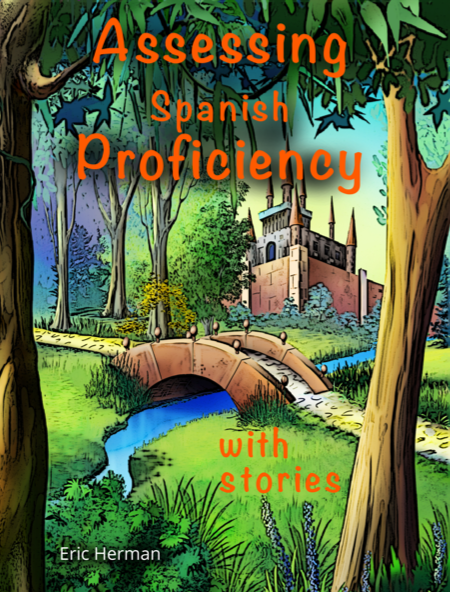 Assessing Proficiency in the Classroom is the first part of the Spanish and French books (which also include 30 high-frequency stories and quizzes - the same content that is in the student book Speed Readings for Spanish Learners). 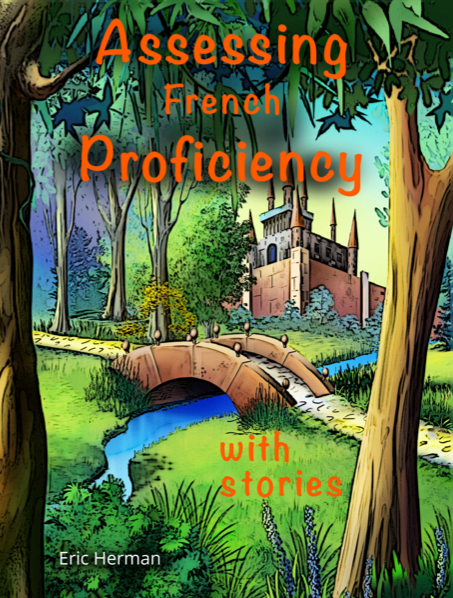 For teachers of other languages, I thought I'd make the guide available separately. Then, teachers can choose their own content to which they can apply these testing methods. I have personally field-tested the stories and procedures and adopted them for my own action research. I used them as pre and post tests, the results of which helped me earn "Exemplary" ratings on my teacher evaluation. The tests also gave me diagnostic data when starting at a new school and served as final exams based on growth. The book reviews the constructs and terminology of communicative language teaching, proficiency, and testing. 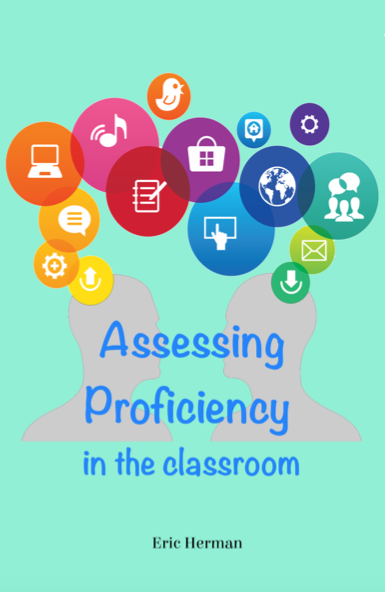 The Proficiency Guidelines from the American Council on the Teaching of Foreign Languages (ACTFL) are explained, critiqued, and common misinterpretations reviewed. Improved testing methods are discussed, namely Savignon's 1972 study that started the communicative movement in testing and tests I designed in the same spirit. Finally, recommended are 8 practical tasks with practical evaluation criteria. Teachers with a story-based curriculum can test how they teach and everyone can use stories as the starting point for different communicative tasks. Given that the Spanish and French books can also function as a speed reading course, those books also include the benefits and research of speed reading. The rest of those books consist of thirty stories and thirty quizzes written within the highest frequency 300 words. The readings get progressively more challenging. The number of different words in a story, sentence length, and structural variety all slightly increase. This enables a teacher to test with stories at different levels in order to give everyone a chance at improving. In my classroom, I repeated the same task with 2 different stories: 1 from the first half, 1 from the latter half of the book. The sample below is from the middle.